A new Indiana Jones adventure is slated for Spring 2009. Check out the first trailer! Capcom set to launch a host of PSone and PSP games on PSN in 2009. Activision unleashes new Details on X-Men Origins: Wolverine. PSP hackers are currently stumped by the security on the the latest revision of Sony's hand-held. Test out the new PSP Video-on-demand service before you buy. Sony will not be releasing a patch to fix the LCD screen issues that have scarred the launch of PSP-3000. Sony has launched its own channel on You Tube, offering trailers, interviews and Playstation-related user-generated content. 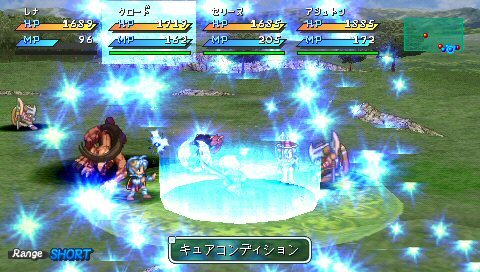 Exclusively on PSP, Star Ocean is coming to Europe next Spring. Could new Everquest game be first MMO to hit Sony PSP? Sony Online Entertainment has trumpeted strong intentions in bringing a fully-fledged MMO to the Playstation Portable. A few extra licenses have been acquired by Konami ensuring that this year will be the most authentic PES experience ever. Bag yourself a copy of the latest Star Wars game on Nintendo Wii! Sony has confirmed that the PSP 3000 will hit Europe this October! Sony's video-on-demand service is now offering Premiership football on the move! An ongoing PSP project hopes to bring full touchscreen capability to Sony's Playstation Portable. Konami believe that Pro Evolution Soccer 2009 is set to become the most realistic version of the sport to date. The Go! branded Video Download service for PSP has launched across Europe! Sony going it alone with PSP-styled gaming phone? The rumour mill is churning following the recent release of the Playstation brand-less F305 gaming phone from Sony Ericsson. Is Sony going it alone with PSP phone? Search Google on your PSP without having to load it up from your browser. PSP firmware update 4.00 is now available. According to Playstation blog, the latest PSP firmware update v3.95 should be with us shortly, adding two new features to the hand-held. Sony Computer Entertainment America will apparently be closing down some of its servers for over a dozen PS2 and PSP games this summer, including Lemmings and Amplitude. As SEGA's third person shooter, Iron Man, gets ever nearer to its release in May, the first screenshots have been released showing the super-hero in action. Following a successful appeal, Rockstar's controverisial actrion horror game, ManHunt 2 has finally received a UK rating from the BBFC and will be released later this year. PSP development cost cut, price drop to follow? Sony’s plans to bring Skype functionality to the PSP, a service that was due to launch tomorrow, has been postponed for the foreseeable future. In Spring 2008, Sony will be launching a new range called Go! Explore, which will turn the PSP into a Personal GPS Navigation System system. The news that Sony Computer Entertainment Inc. is introducing the VOIP service, Skype to the PSP has now been officially confirmed today.